palappam recipe | appam recipe without yeast | kerala appam recipe with detailed photo and video recipe. it is a kind of dosa recipe or a pancake native to the kerala cuisine which is mainly prepared from fermented premixed rice and coconut batter. 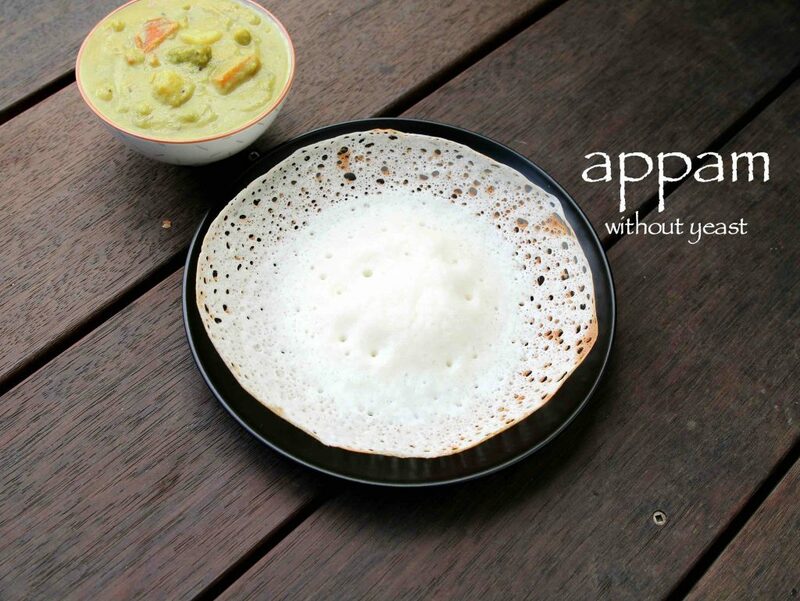 it is also a popular staple breakfast in kerala cuisine and is referred as aappam. it is typically served with stew recipe which can be either vegetable stew or meat based like mutton stew or chicken stew. palappam recipe | appam recipe without yeast | kerala appam recipe with step by step photo and video recipe. basically palappam is an extended version of plain appam or vella appam recipe to which grated coconut is added while grounding. 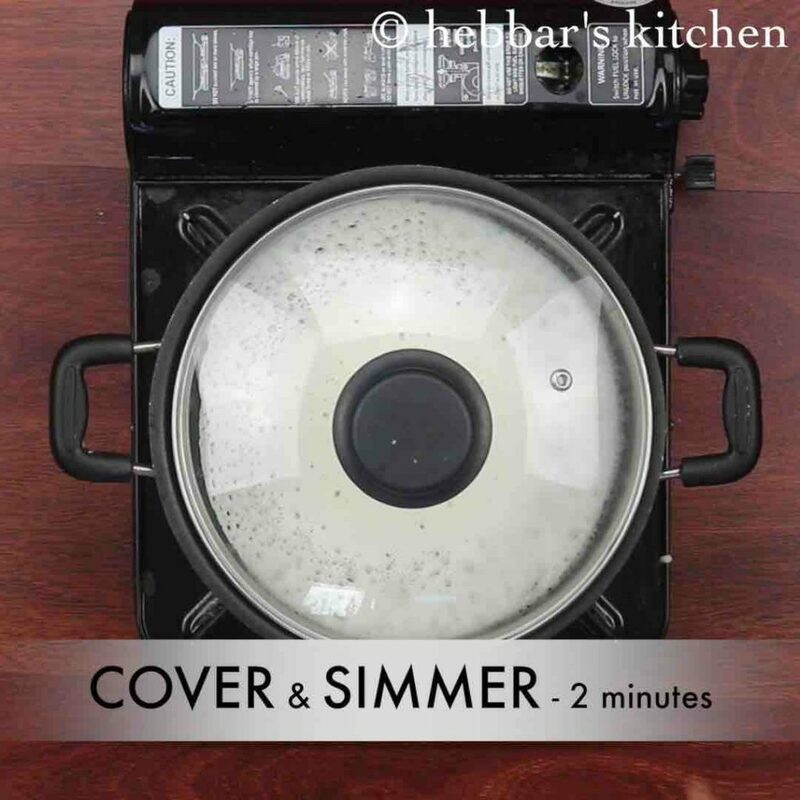 later the fermented batter is poured to bowl shaped pan to yield a bowl shaped pancake’s. the recipe for palappam can be prepared in many ways. the alteration is mainly with the way coconut is added and the fermentation process it involves. in this recipe of kerala appam, i have mixed the grated coconut and soaked rice just before grounding it to a smooth batter. alternatively the store bought coconut milk can also be added to plain rice batter. in addition instead of grounding the soaked rice, rice flour can also be used to make a thin batter. 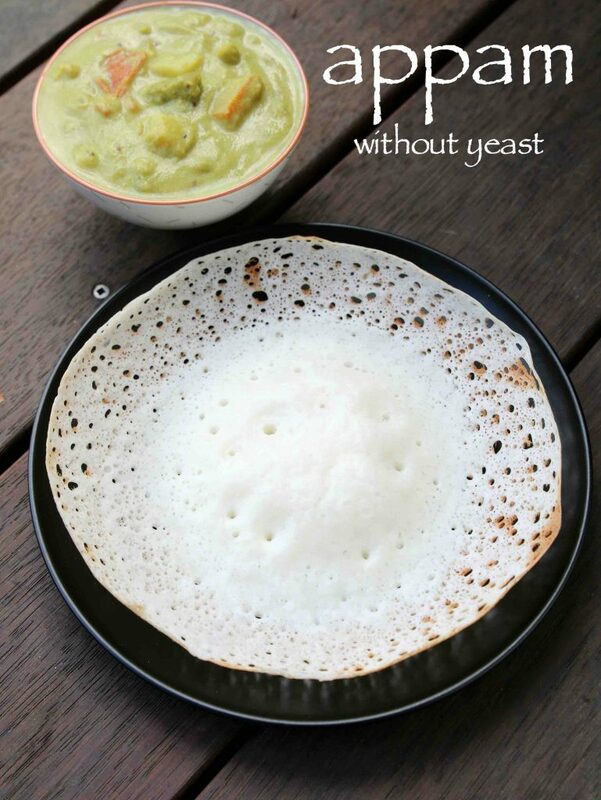 furthermore, the fermentation of rice batter is a key step to yield a soft and crisp palappam recipe. 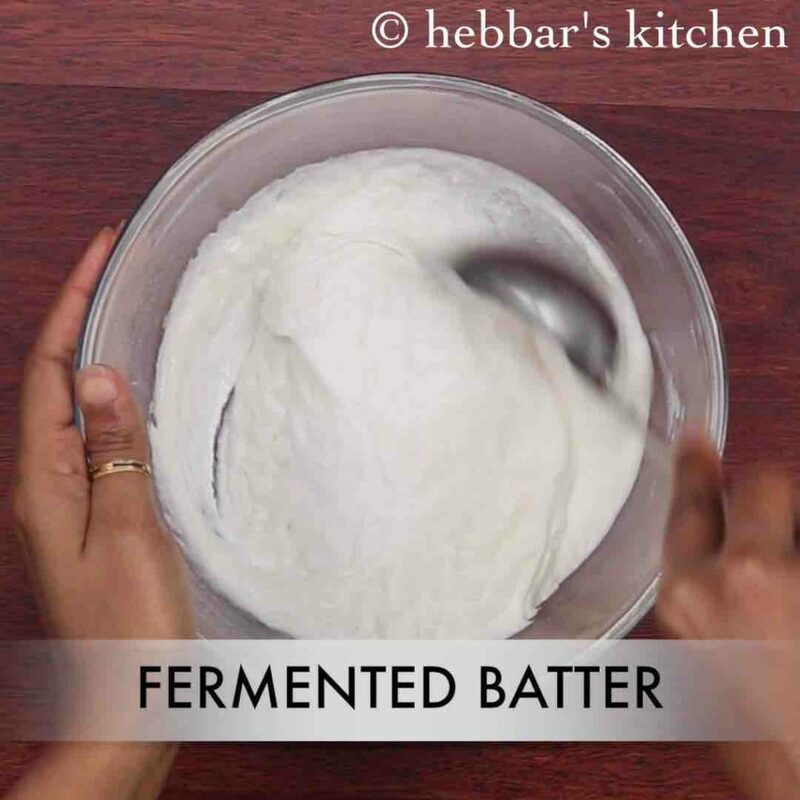 the batter can be fermented with baking soda, yeast or even with palm toddy or taadi (an alcoholic beverage). 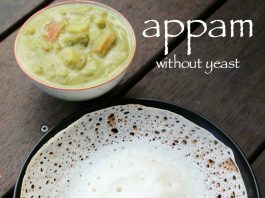 you can check my previous plain appam recipe for detailed instructions to prepare it with yeast. i would like to share few tips and recommendations to be considered while preparing kerala palappam recipe. 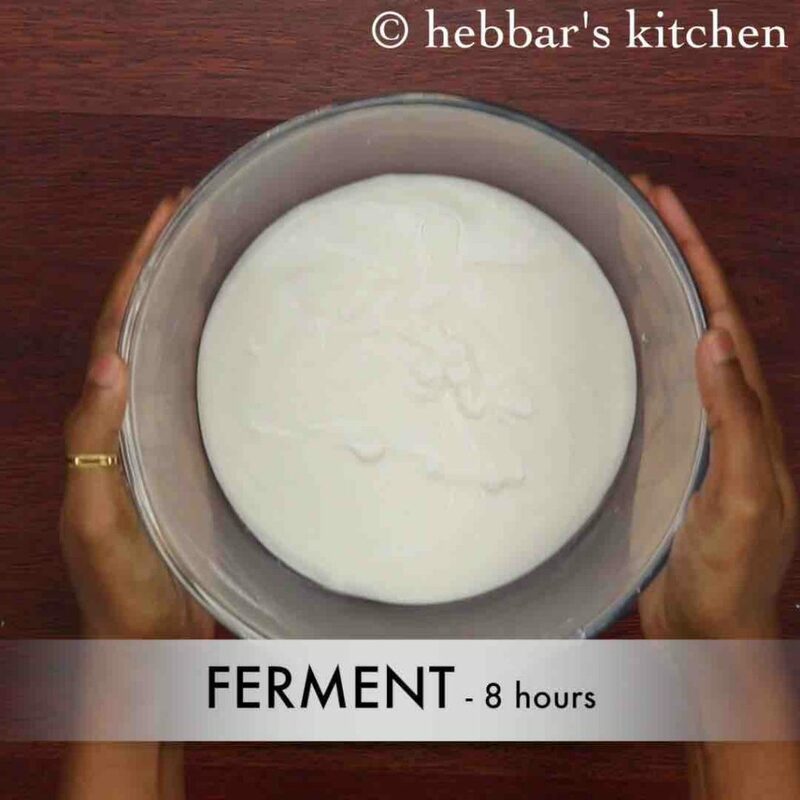 firstly, i have used idli rice in this recipe for better fermentation and result. you can use normal day to day rice like sona masuri but i heavily recommend to use idli rice for better result. secondly, as mentioned previously fermentation is key process. but if you are living in a cold region, you can place the batter in preheated oven to hasten the fermentation process. 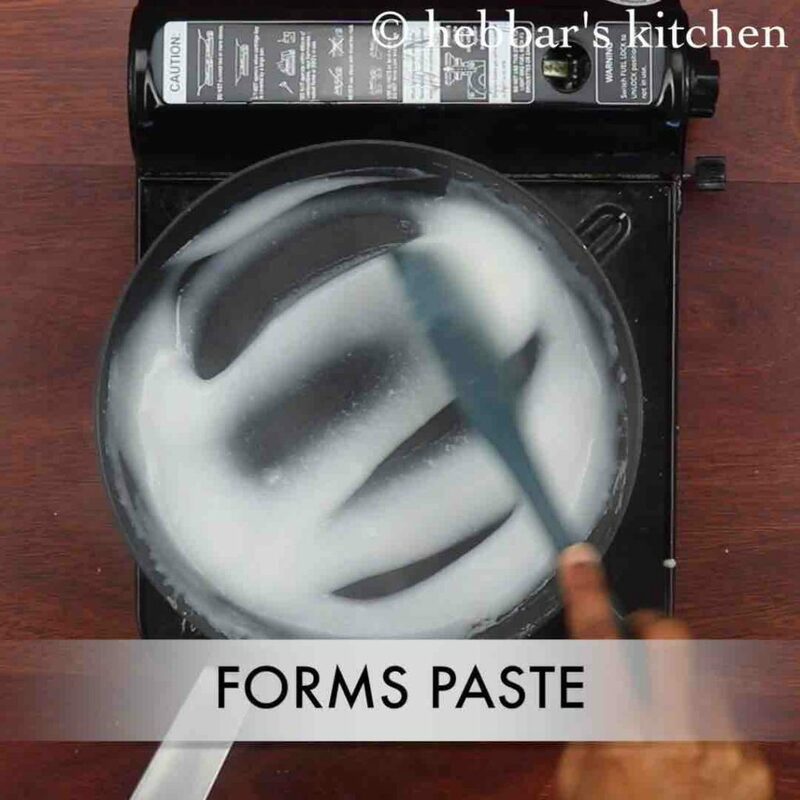 lastly, you can store the fermented batter in refrigerator for about 2-3 days and scoop out only required amount of batter to prepare spongy appam recipe. 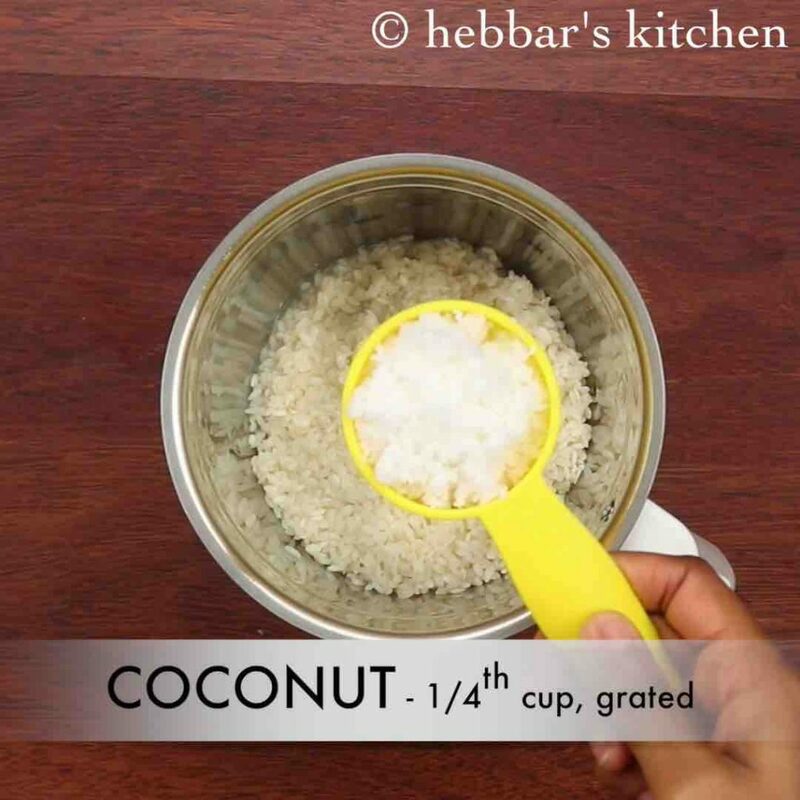 firstly, grind soaked 1 cup idli rice along with ¼ cup coconut. 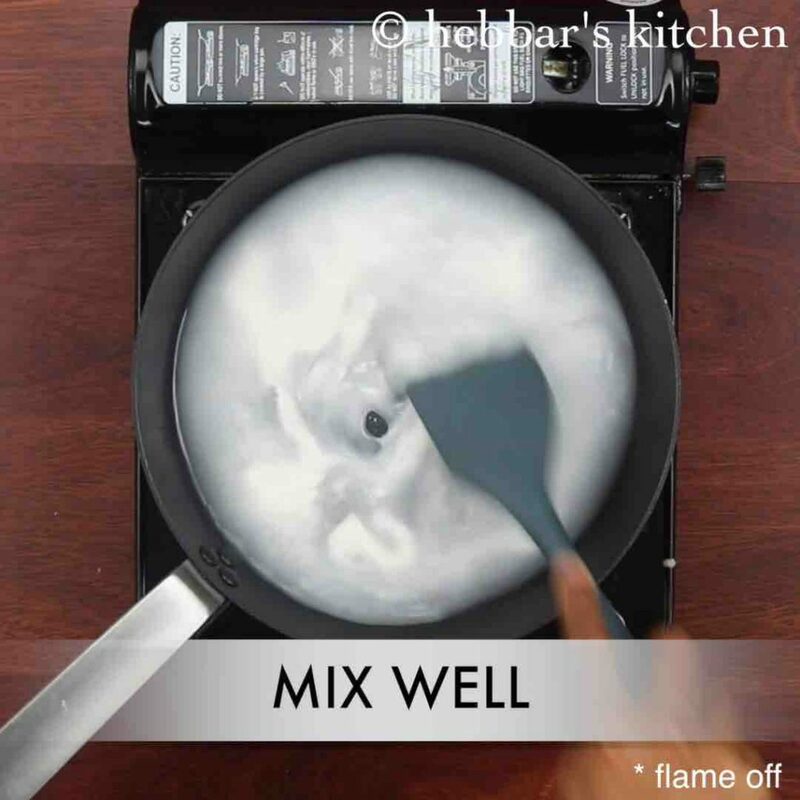 take 2 tbsp of prepared batter and pour over pan along with ½ cup water. make sure the flame is off. 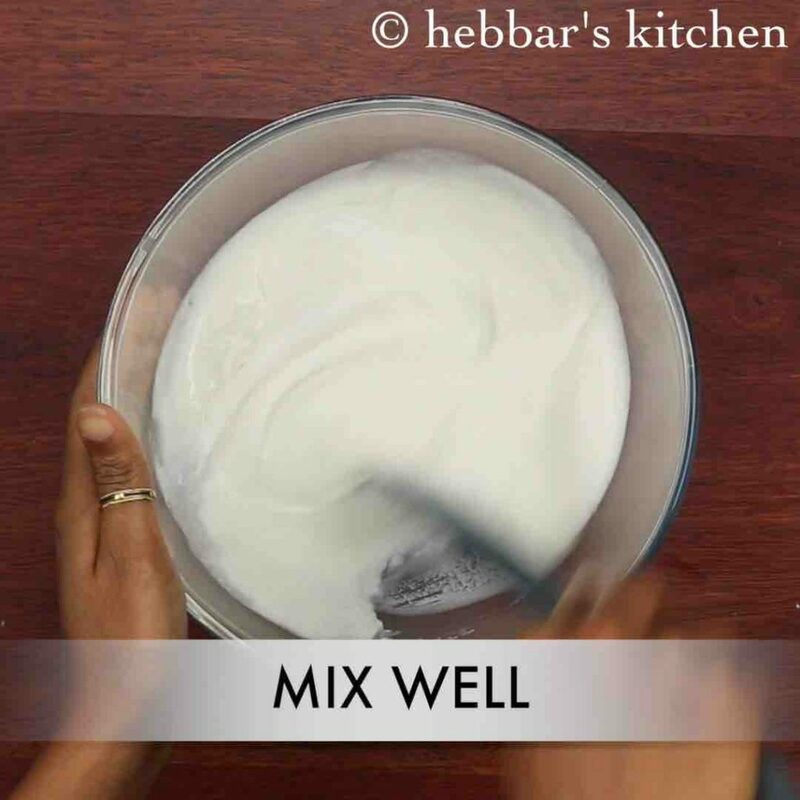 mix well making sure the batter combines well with water. 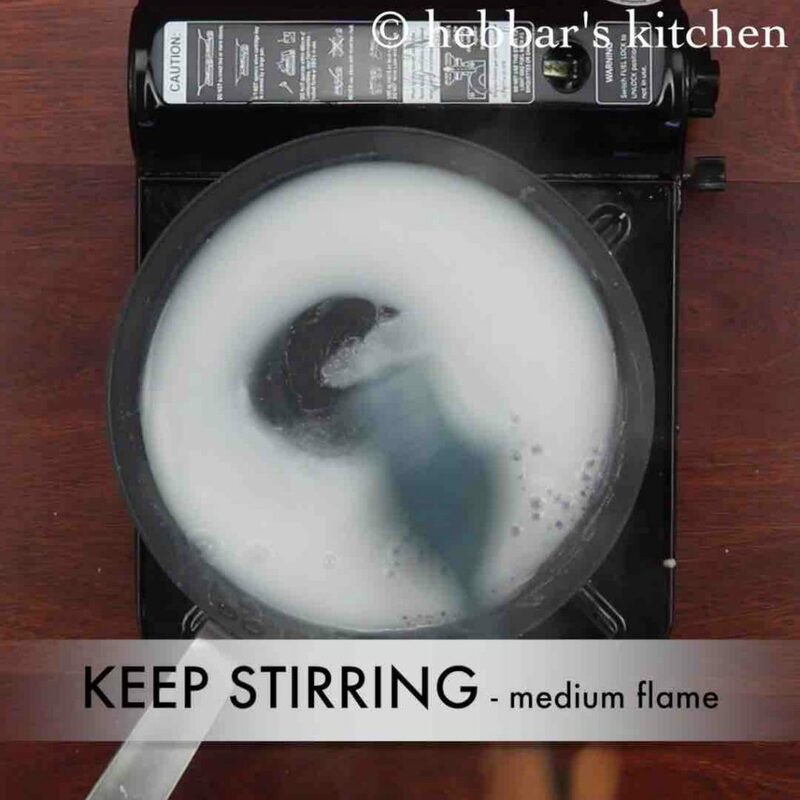 now turn on the stove on medium flame and keep stirring. transfer the prepared cooked batter into appam batter. cover and ferment in warm place for 8 hours. 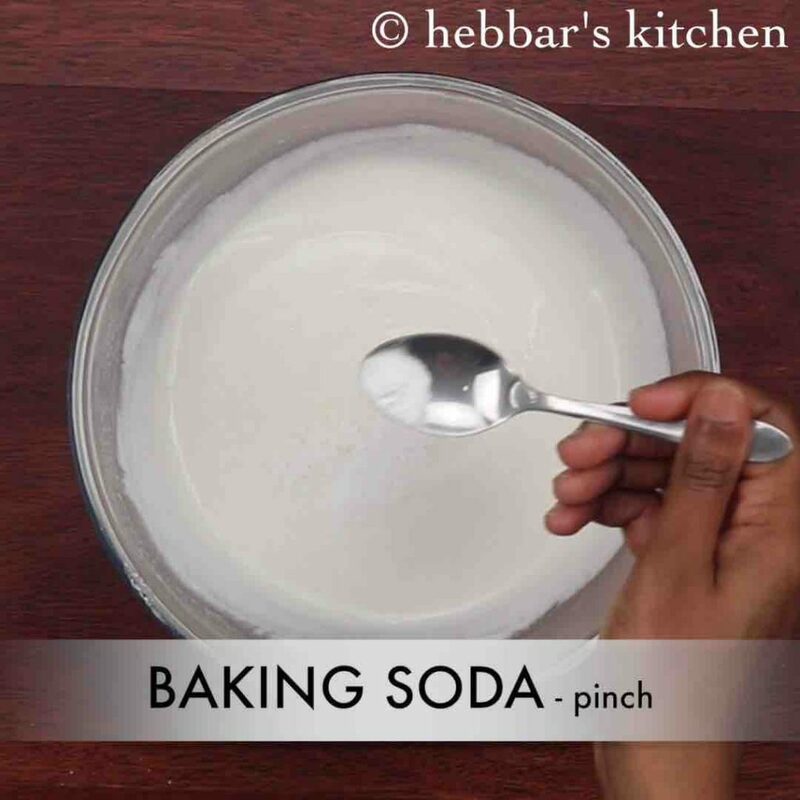 add in ½ tsp sugar, ½ tsp salt and pinch of baking soda. 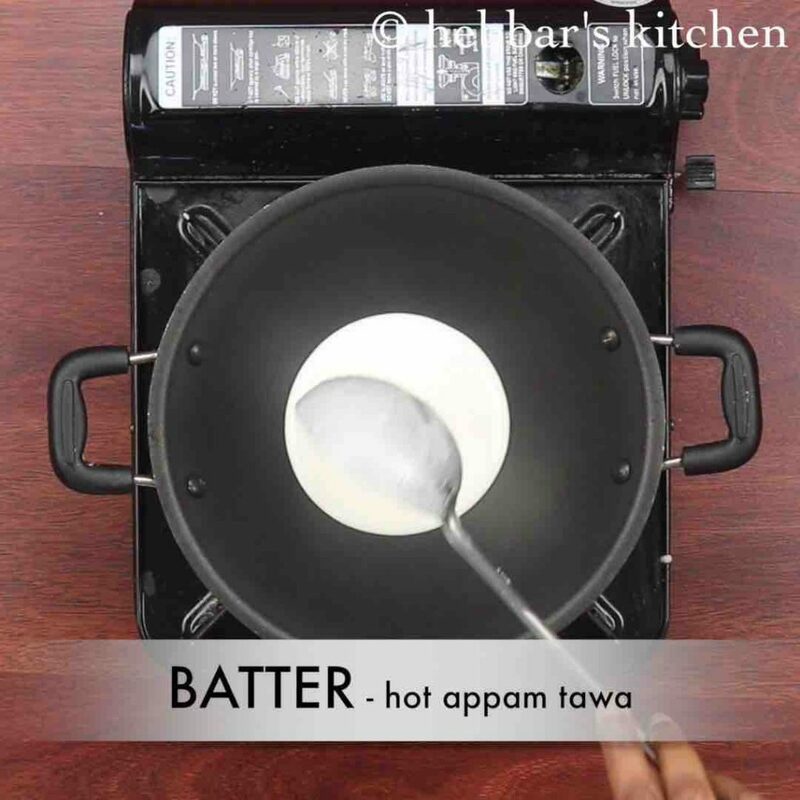 heat appam pan or appachatti over medium flame and pour a ladlefull of batter into the pan. 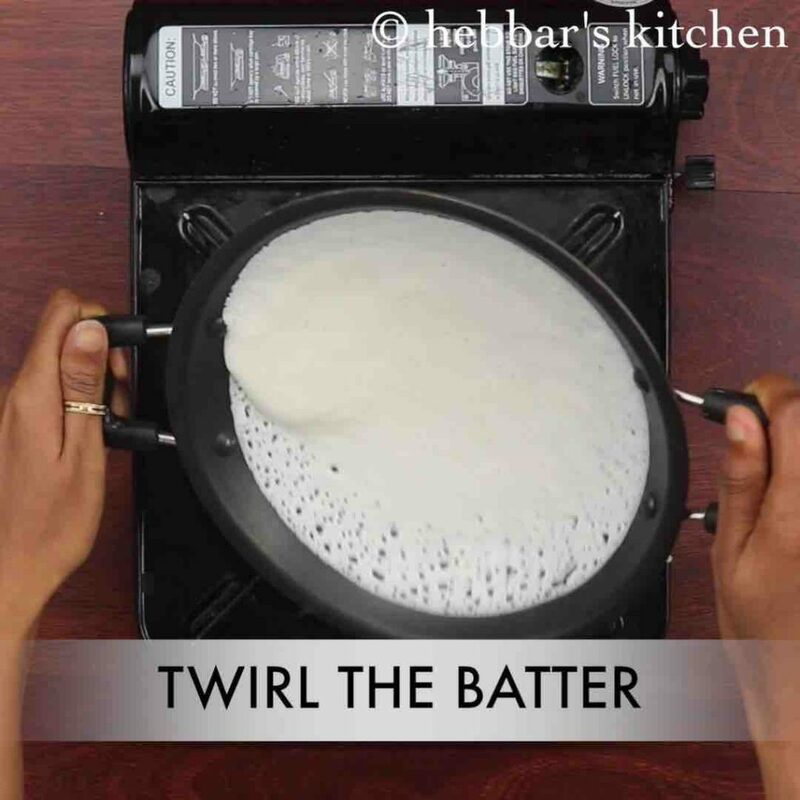 immediately twirl the pan to spread the batter in a circle motion. further cover and simmer for about 2 minutes or until the edges turn golden brown and gets cooked completely. finally, carefully remove the palappam / appam from the pan and serve with vegetable curry. 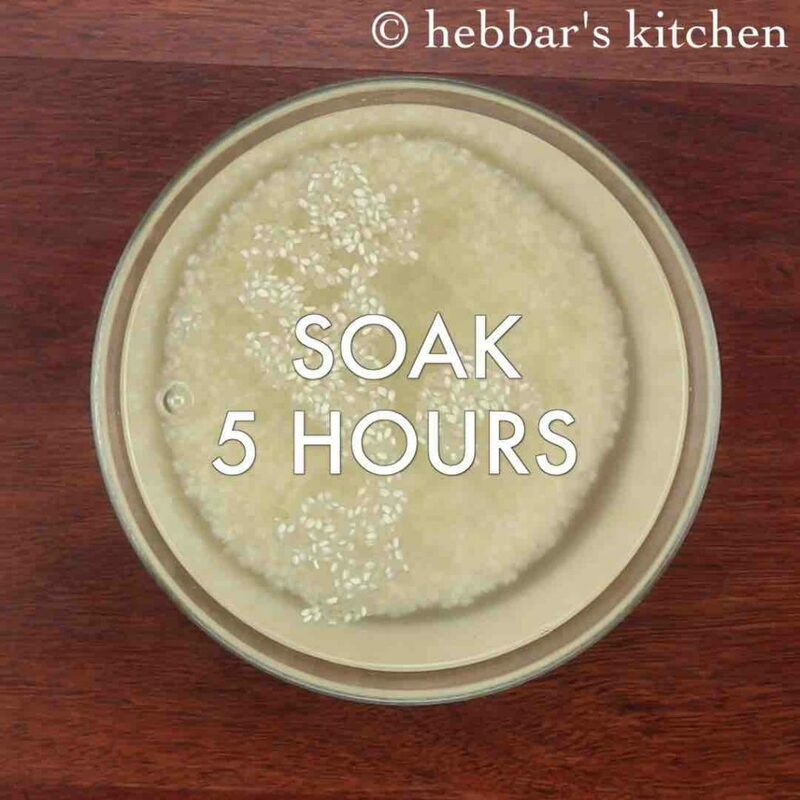 firstly, in a large mixing bowl soak 1 cup idli rice for 5 hours. if you do not have idli rice, then can use sona masuri rice. drain off the water and transfer to a mixi jar along with ¼ cup coconut. 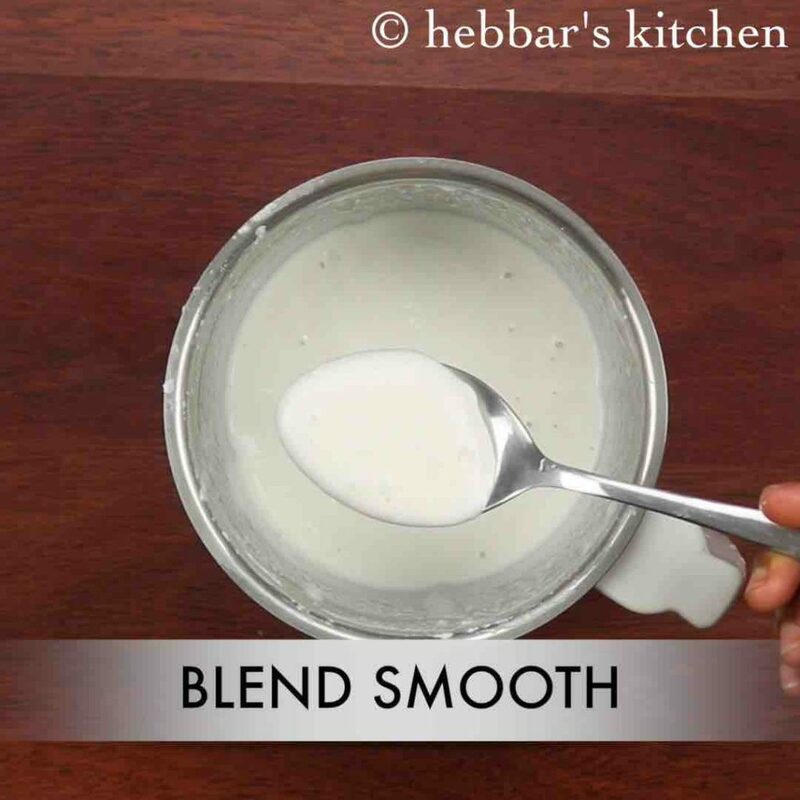 add water as required and blend to slightly smooth paste. make sure the batter is not too smooth. the batter must be little coarse but not too coarse too. 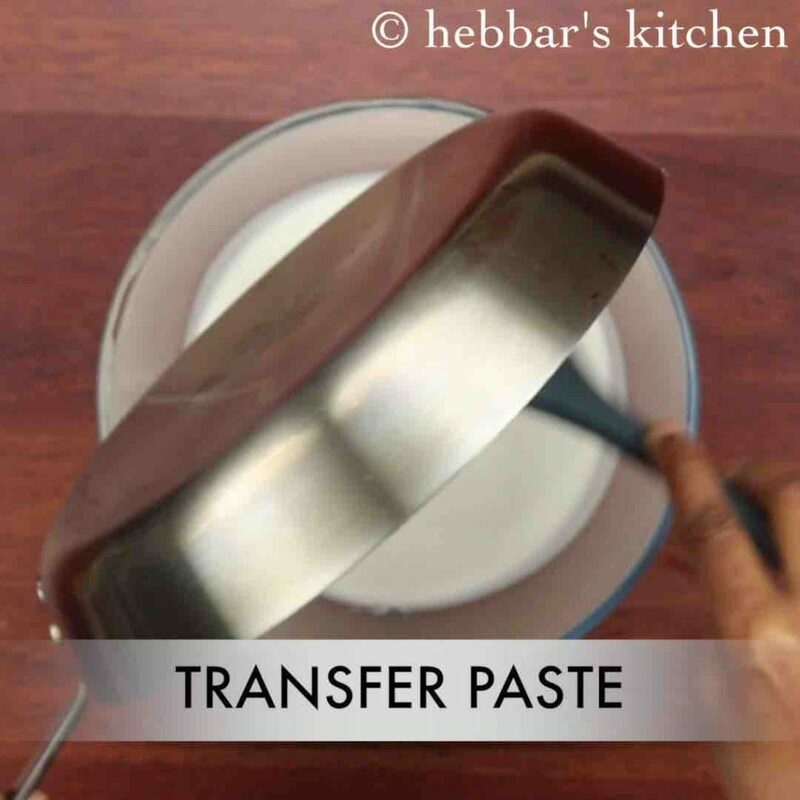 the mixture will thicken and turns transparent thick mixture. further turn off the flame and bring to room temperature. cover and ferment in warm place for 8 hours or till batter gets fermented well. 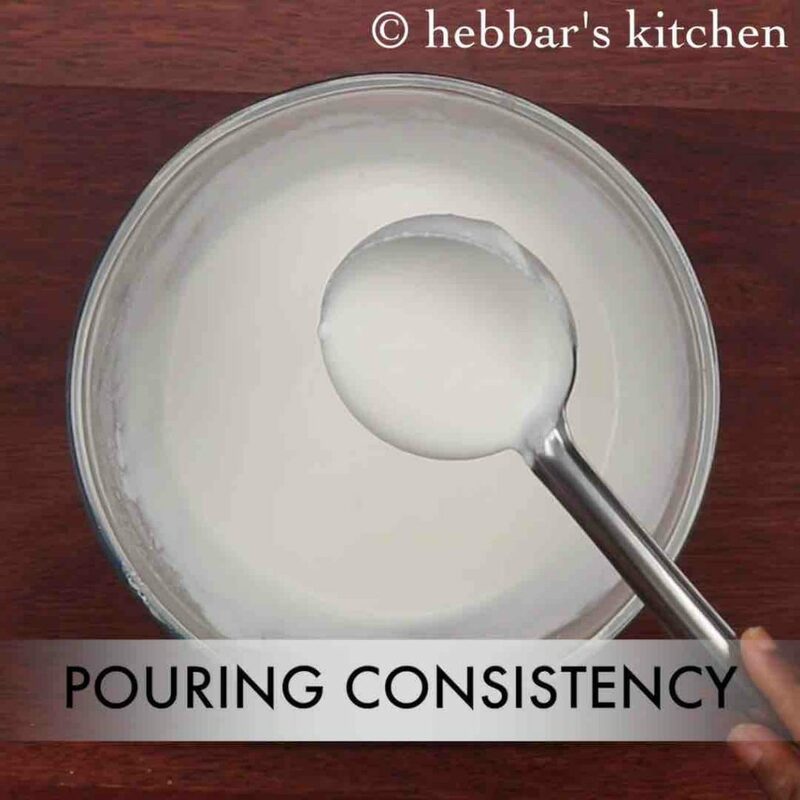 mix the batter gently and check for consistency. 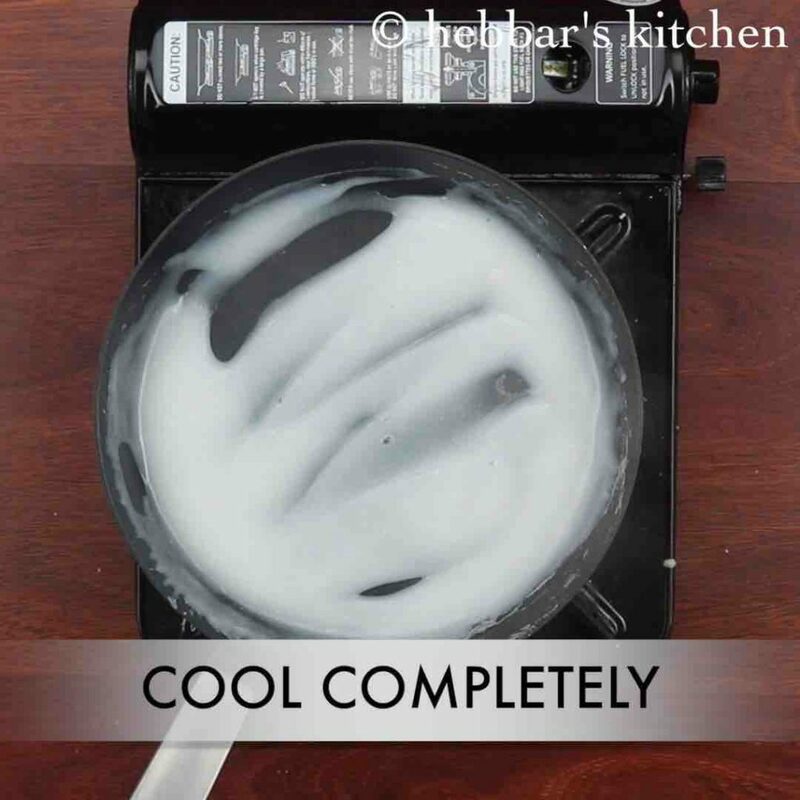 also add water as required and mix gently to get smooth flowing consistency batter. heat appam pan or appachatti over medium flame and pour a ladlefull of batter into the pan. if using iron appam pan then rub with some oil, skip oil if using non stick. finally, carefully remove the palappam / appam from the pan and serve with vegetable curry / sweetened coconut milk / egg curry / chicken curry. firstly, ferment the batter well else the appam will not be soft and flaky. 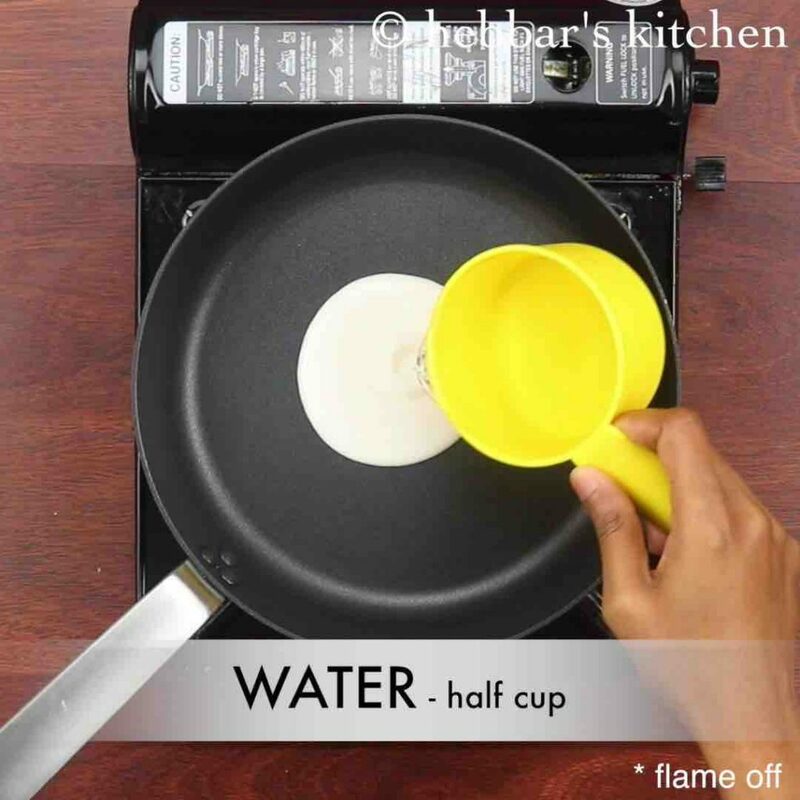 also, cook the appam on medium flame, else the batter will not get cooked from center. additionally, add soda just before preparing kerala appam to get perfect texture. finally, palappam / appam taste great when prepared with cast iron appachatti.